Notice the (almost!) endless weave of line that's a signature of celtic knotwork, alongside some free-standing decorative strokes lifted from Arabic script, both given a street art twist. 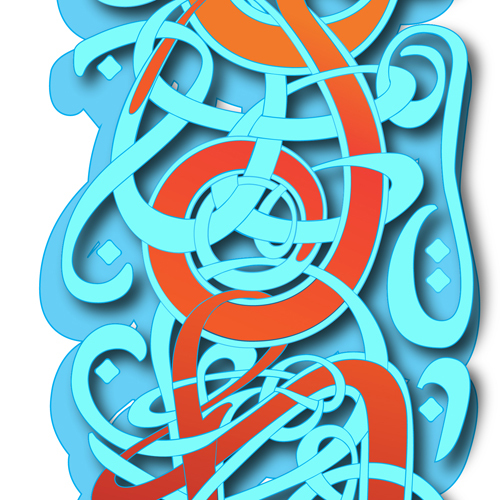 This project demonstrates the application of Adobe Illustrator Drawing, and Lettering. Follow the links to see more projects using these skills.